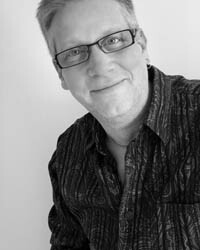 Began photography career in 1985 as a freelance photographer concentrating on Fine Art prints and Editorial work. Covers a variety of disciplines from Aerial, Corporate, Commercial and Fashion to Wedding and Portrait Photography. Recipient of the 2015 National Citation for Service as awarded by the Professional Photographers of Canada. Designation achieved: "Service of Photographic Arts" (SPA) as awarded by the Professional Photographers of Canada. Designation achieved:"Craftsman of Photographic Arts" (CPA) as awarded by the Professional Photographers of Canada. has been an active speaker and presenter to professional associations and amateur photographic groups since 1995.
winner of a variety of print competition awards in Fashion, Portrait, Illustrative and Commercial disciplines. Accredited Portrait & Environmental Wedding photographer & certified print competition juror as recognized by PPOC. 2006: Honoured as one of Canadas Distinguished Professional Photographers by CAPA. 2005: Recipient of the Kodak Gallery Award for Photographic Excellence in Commercial Photography.